If your email marketing efforts are falling flat, you could be doing it all wrong. While there is no one-size-fits-all magic bullet for gaining new customers or better engaging existing ones via email, there are several simple steps you can take to optimize your chances of success. 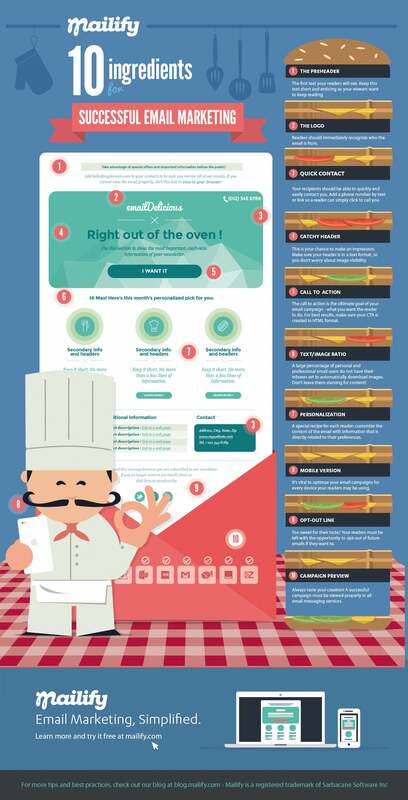 Lucky for you, the folks at Mailify have cooked up a simple, step-by-step recipe for killing it at email marketing, with key tips on personalization, mobile optimization, text-to-image ratio and, yes, even the option for recipients to opt-out (hopefully they won’t).